at 50 E. Willow Street in Nashville, IN. The only optometric practice in Brown County was founded in 1957 by the late John Carter, O.D., Ph.D. The late Rogers Reading, O.D., Ph.D., formerly a professor of Optometry at Indiana University, purchased the practice in 1962. Jerald Strickland, O.D., Ph.D., former Dean of the Houston College of Optometry, was associated with the practice until Robert Gammon, O.D., a practitioner in Bloomington, Indiana, purchased the practice in 1970. The practice was then purchased by the late William Brotherton, O.D., in 1975. Merle K. Pickel, O.D. purchased the practice in 1979. At that time, the office was located in the Professional Building on Van Buren Street in downtown Nashville. 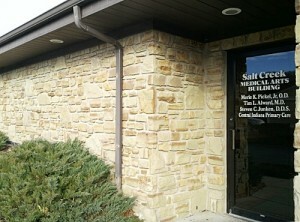 The practice moved to the current location at 50 Willow Street, Suite A, in Nashville, Indiana, in 1987. Benjamin Gootee, O.D. purchased the practice in 2018.